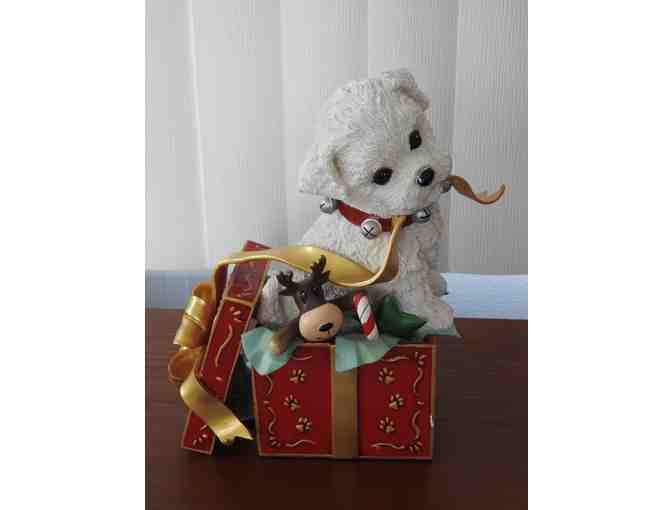 “Puppy’s First Christmas” by Danbury Mint. Adorable figurine, mint condition, 7” wide, 9” high, and 6” deep. It will fit nicely on your table or mantel this holiday season.